Tzimmes–a mixture of carrots, sweet potatoes and prunes–is a sweet start for the Jewish new year. On Rosh Hashanah, we eat sweet foods to signify a sweet start to the new year. A traditional dish is tzimmes, a mixture of vegetables sweetened with honey. Carrots sliced into coins are usually included, to symbolize prosperity. 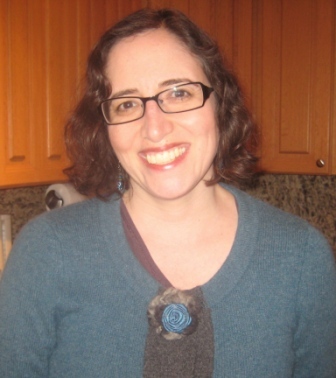 In Yiddish, the word tzimmes means “a big fuss” (as in, “Don’t make such a big tzimmes over it”), but it can also mean something that’s mixed up. But there’s no fuss involved in making this easy vegetarian side dish that’s good for Rosh Hashanah, Passover or even Thanksgiving. And it’s naturally gluten-free. Spray a 9×13-inch baking dish or casserole dish with cooking oil spray. In a large pot, cover carrots with water and boil 5 minutes. Add sweet potatoes and boil an additional 10 minutes until tender when pierced with a fork. Drain. 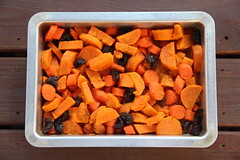 Place drained carrots and sweet potatoes in prepared baking dish. Stir in prunes. Combine orange juice, honey, cinnamon and salt. 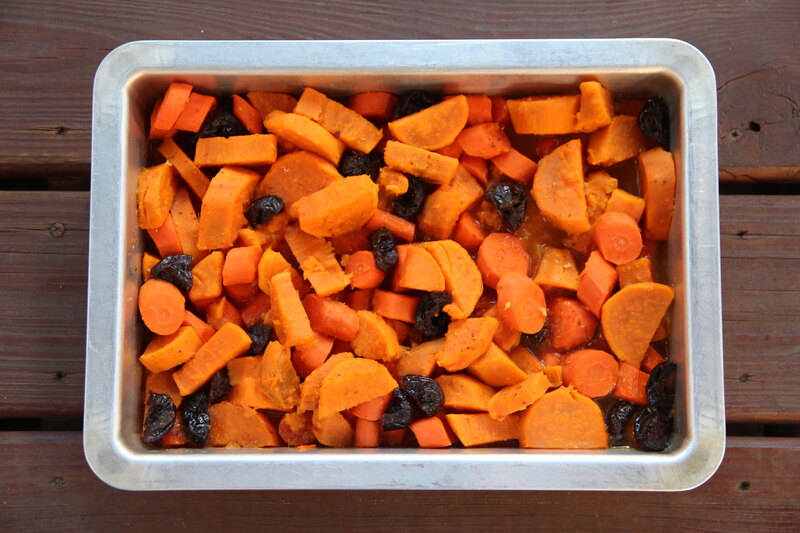 Pour mixture over carrots, sweet potatoes and prunes. Dot with butter or margarine. Cover pan with aluminum foil. Place in preheated oven and bake for 30 minutes. Uncover and bake an additional 10 minutes. Serve warm.